Hello The 36th Avenue readers. 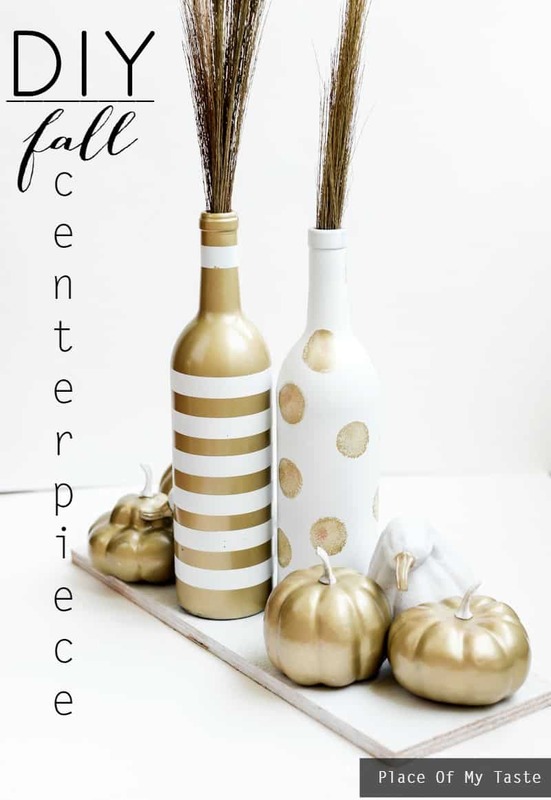 It’s Aniko from Place Of My Taste and I am back here with an easy fall dessert for you all. 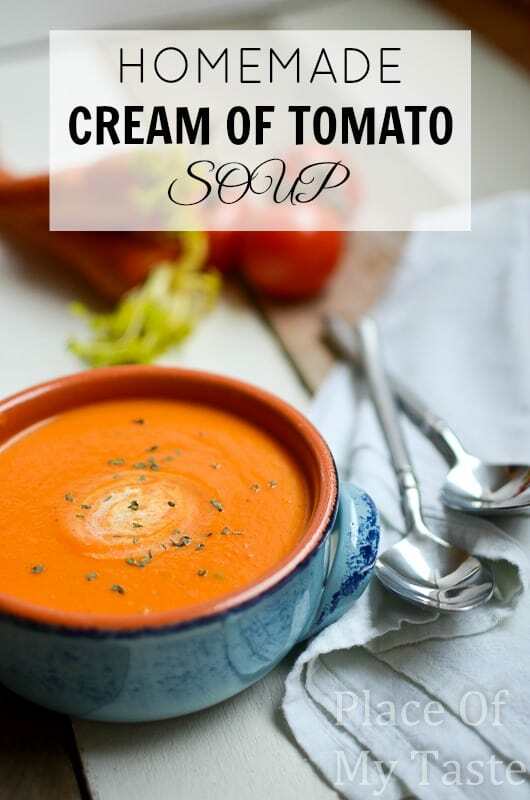 If you are regular here, you may know that I only like easy, yet delicious recipes – like this amazing Peach Scone or this fantastic Butternut Squash Soup. Fall is upon us and it appears that I start seeing pumpkins everywhere. Oh and I glanced at some Christmas decorations too the other day… that is too scary:-) Anyways. Today’s dessert has only a few ingredients and you don’t even have to turn on your oven. Yay! 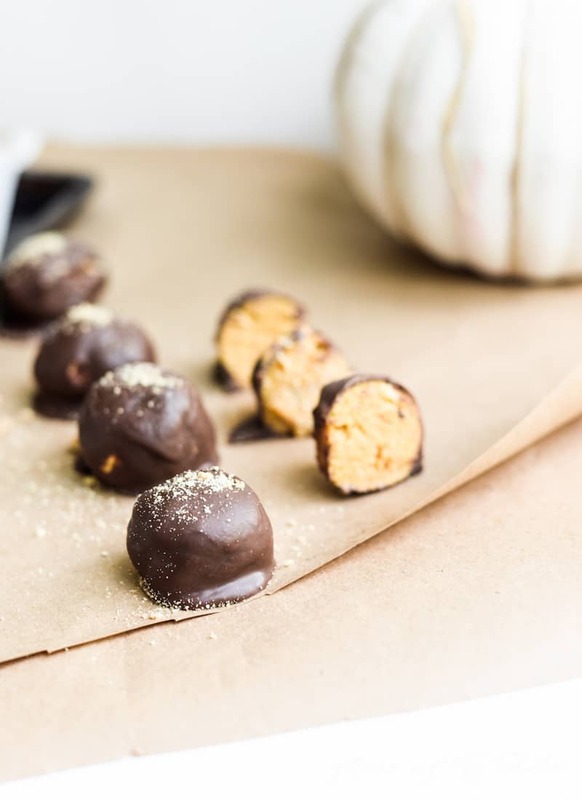 These cute Chocolate Pumpkin Truffles are done in no time. You may notice that these little bites don’t have the perfect shapes. But just stay realistic…I am not a professional chef but my family always loves my creations the way they turn out:-) These cuteness’s has the same wonderful taste even if they perfectly imperfect. I bet that some of these ingredients you already have at home in your pantry and in your refrigerator. Microwave white chocolate until smooth. Chill dough for 1 hour or until it is easy to roll balls. Roll 15 small balls and chill in freezer for 15 minutes. 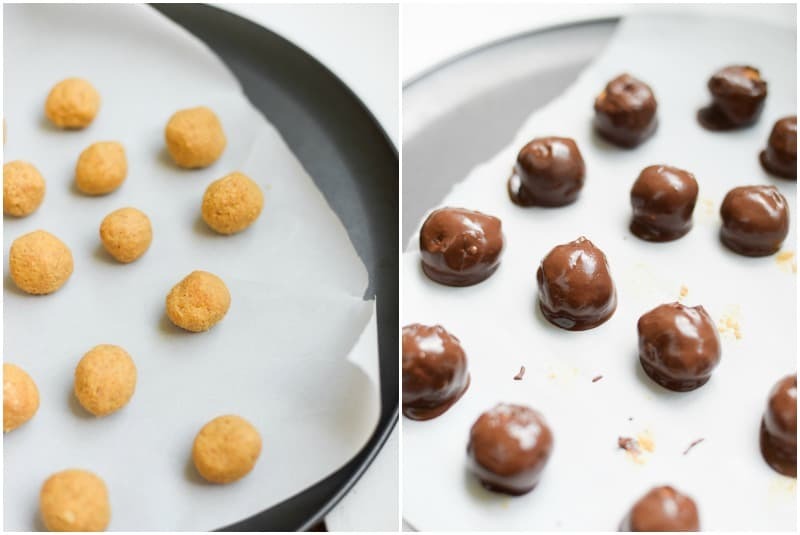 Melt dark chocolate and dip balls into chocolate. Return the dipped balls to parchment paper and let the chocolate harden for about 10 minutes. 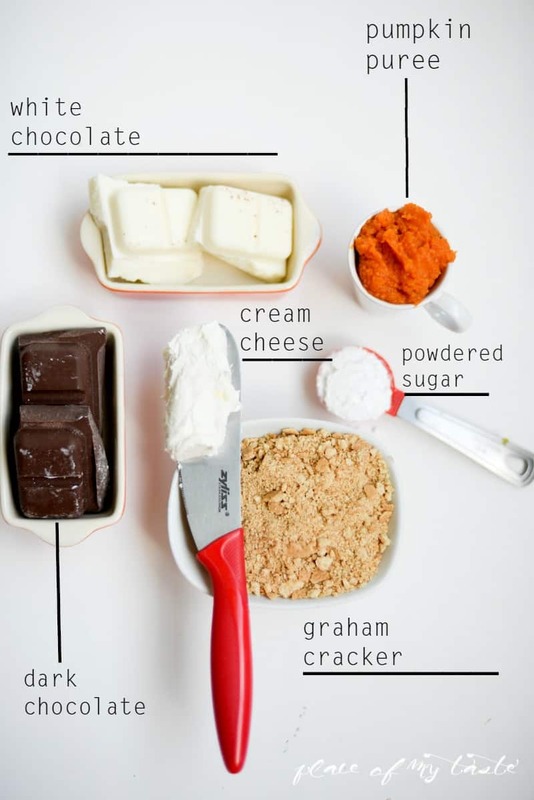 Garnish with crushed graham cracker. 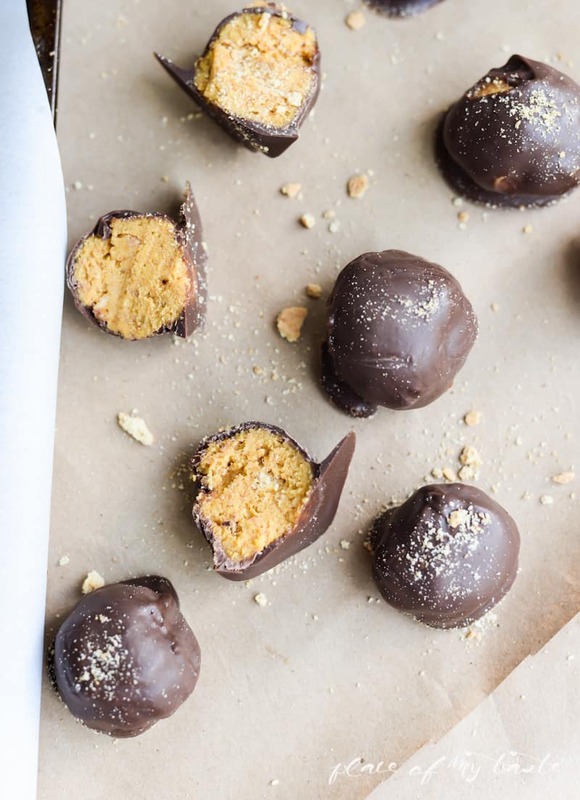 These little balls are perfect “TO GO” desserts. 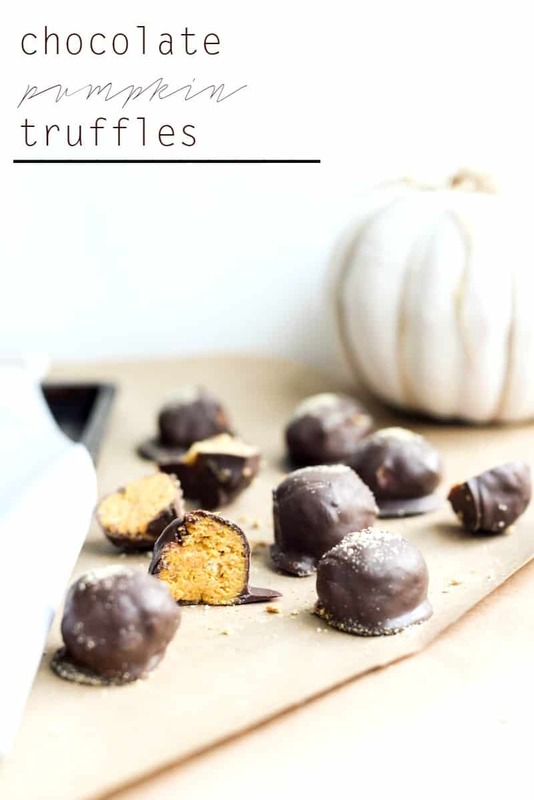 I hope I made you want to try these sweet dessert bites. I love being part of Desire’s wonderful team and I always appreciate my little spot here. 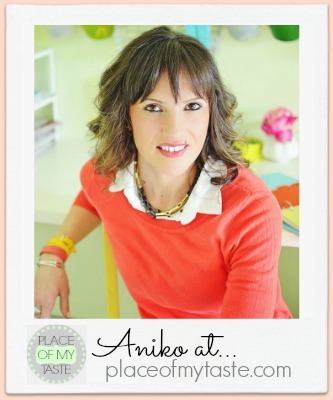 We love Aniko around here! Can’t wait to try these out! 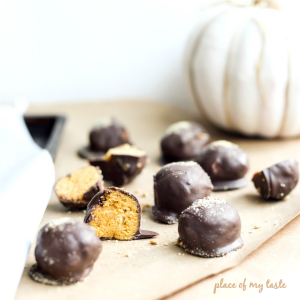 Love anything pumpkin and chocolate! Great combo! pinned!